Anne Drummond (RGN, RM, HDipSHWW, MSc, PhD, CFIOSH, FFOM (Hon) RCPI) qualified as a nurse and midwife, and had a career in general nursing before developing an interest in Occupational Safety and Health (OSH). In 1995 she commenced work in University College Dublin (UCD) in the Centre for Safety and Health at Work (CSHW), where she was responsible for academic management and development of the Centre’s OSH Education Programme. She was later appointed to an academic position and is currently Director of the Centre, and Professor and UCD Head of Subject in Occupational Safety and Health. She has a deep interest in the pedagogy of teaching and learning and was School Associate Dean for Teaching and Learning for many years. She has received UCD teaching awards (2009 and 2016), a national teaching award nomination (2009), a national Teaching Expert award, (2015) and national special category winner award (2015). She is programme coordinator for a blended online Certificate (undergraduate) and the UCD MSc in OSH, and over 8,000 students have completed courses under her governance. She is very involved in committee work at University and national level. Her research work has included public health and occupational safety and health projects. Her OSH research interests include adult education in the context of OSH education; health and wellbeing at work; and areas where national-level data sources are less than optimum, such as the national systems for monitoring of work-related and occupational illnesses, and of work-related road traffic fatalities. Jean Christophe Le Coze is a safety researcher with an interdisciplinary background, including in engineering and the social sciences. He works at INERIS, the French national institute for environmental safety. His activities combine ethnographic studies and action research programmes in various safety-critical systems, with an empirical, theoretical, historical and epistemological orientation. Outcomes of his research have been regularly published in the past 10 years in articles, books and special issues of journals. Jean-Christophe has recently hosted the “Paris Workshop” on “New Directions in Safety Research”, putting together a network of active researchers in the field of safety pointing to new issues to be addressed. Topics such as globalisation, critical infrastructure, digitilisation or systemic risks have indeed shaped new operating constraints of high-risk systems and any organisations, with implications for safety. Training and Qualification of Labor Physicians. 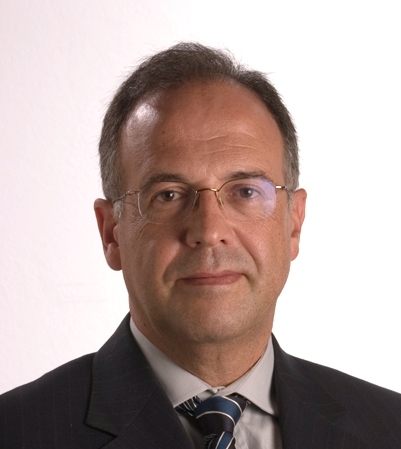 José E. Ferreira Leal holds a degree in Medicine and Surgery from the Faculty of Medicine of the University of Porto (1984) and post-graduate in Occupational Medicine by FMUP / DCG (1991-1993) and Post-Traumatic Corporal Damage Assessment by FMUP / INML (2005). He is Head of the Health Department of Sociedade de Construções Soares da Costa SA / Soares da Costa Group (1990) (currently inactive). He is an occupational physician of the ProEF Group – Eurico Ferreira SA (2000), PREH Portugal SA (2014), Salvador Caetano – CaetanoBUS SA Group (2016) and Atlanticare SA (2016). He was Secretary General of the National Congress of Occupational Medicine (CNSO 1994-2008) and of the Portuguese Society of Occupational Health (SPSO 2007). He is Specialist in Occupational Medicine by the Professional Association of Physicians (2000). He was an invited lecturer at the Postgraduate Courses / Masters: Occupational Medicine – FMUP (2000-2013), Human Engineering – EE UM (2003-2008) and Occupational Safety and Hygiene Engineering – MESHO FEUP (2004-2011). He is a member of the Board of Directors of the Occupational Medicine Specialty College of the Professional Association of Physicians (2006) and current President-in-Office (mandate 2015-2018). Mahmut Ekşioğlu currently is a professor of Industrial Engineering and Director of Ergonomics Laboratory at Boğaziçi University (Istanbul, Turkey). He trained in the US and Turkey. He received his PhD in Industrial Engineering and MS degrees in Industrial and Aerospace Engineering all in the US and a BS degree in Mechanical Engineering in Turkey. His area of expertise is in Ergonomics/Human Factors Engineering. He has been working in this area since 1992 as an instructor, researcher and consultant both in the US and Turkey. Before joining Boğaziçi University in 2005, he served four years as a full-time faculty member at the department of Industrial Engineering of University of Michigan and involved some research work with Ford Motor Company and tool industry. Prior to academia, he worked as a research scientist at NIOSH (US National Institute for Occupational Safety and Health), and as a consultant in ergonomics and occupational safety and health at Advanced Ergonomics, Inc. (Dallas, US). While in NIOSH, together with two other researchers he developed NIOSH´s Human Vibration Laboratory. In Turkey, his research efforts mainly aimed establishing an “Ergonomics Database for the Population of Turkey” to be used in designing safer and more productive work systems, equipment and products. He published over 70 articles in SCI journals and conference proceedings as well as several book chapters and developed an ergonomics assessment tool. He is also the inventor of the patented “Turkish E-Keyboard” which is also a Turkish Standard (TS 13771). He has memberships in several international professional societies. Gustavo Rosal, Ph.D. PrevenControl R&D Director. Human Technology Interaction Engineer. Master of Ergonomics from the university Polytechnic University of Catalonia. Master in Safety, Occupational Health and Occupational Hazard Prevention from Camilo José Cela University. Vice-President of UNE standards: SC5: “Ergonomics and Psychosociology”. Secretary General of Spanish Ergonomics Association. Member of ICOH. President Scientific Committee 7th Congress Spanish Ergonomics Association. 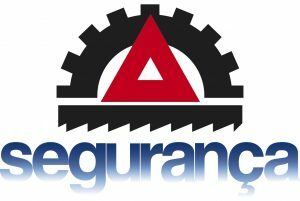 Spanish Council Member of International Ergonomics Association. He holds a PhD in laser interferometry techniques applied to experimental mechanics, from the UP, 1995; In 1985 he joined INEGI (www.inegi.up.pt ), an interface university institute, created by the mechanical engineering department of the UP to offer service and support to industry. He is head of the Laboratory of Optics and Experimental Mechanics (LOME/FEUP/INEGI) since 2000. He has been involved in organizing several national and international conferences both, in experimental mechanics and biomechanics. He is the joint holder of 5 patents applications with two of them registered on experimental techniques and measuring devices and is author of several publications on experimental mechanics and its applications to biomechanics and is one of the founders of the laboratory of biomechanics at the University of Porto (LABIOMEP). He is the president of the general assembly of the Portuguese Society of Experimental Mechanics. In 2016 was elected President of EURASEM by the steering board. Please read carefully all the content of this section before submitting your full-paper/short-paper. Submission should be done electronically and considering the deadlines presented below. The short/full paper can be presented as an oral presentation or as a poster. Due to the limited number of sessions, some authors can be invited to present their work as a poster, even if they have previously indicated their preference as being the oral presentation. Important note: the inclusion of the approved papers in the symposium publications assumes that authors will present their work at the symposium. If authors fail to present their work, and do not have a justification, they will be prevented to publish any other papers in the next editions of the event. Scientific Article – Submission of a full-paper (4-5 pages) in English, which will be published in a book edited by CRC Press (Taylor & Francis). Once accepted, the inclusion of each full-paper will imply the registration of, at least, one of the authors and a payment of a publication fee. This author will receive the printed (hardbound) book. Technical Article – Submission of a short-paper (2-4 pages) in Portuguese or English, which will be published in a proceedings book (with ISBN). Once accepted, the inclusion of each short-paper will imply the registration of, at least, one of the authors. Each registration allows to submit 1 short-paper. The submission of more than 1 short-paper will imply a fee per additional paper. Submit Scientific Article to be included in a printed BOOK (published by CRC Press – Taylor & Francis). Papers between 4 to 5 pages and written in English. These full-papers can be presented orally or by poster. For the preparation of the Scientific Article, authors should carefully read and follow the instructions presented at the instruction files and paper templates available HERE. It will be important that in the sent file (.doc or .docx) there is no identification of the authors, in order to ensure a blind review process. At least one of the (co)authors should be registered by the date of decision sent by email to the author. If none of the authors is registered at this date, the full-paper will be automatically removed from the program and book. Submit Technical Article with 2 to 4 pages in Portuguese or English. These short-papers can be presented orally or by poster. For the preparation of Technical Article the following template should be used HERE .It is important that authors ensure that the submitted file (in .doc or .docx format) does not include any reference or identification of the authors, as the abstract will be blind-reviewed. Selected authors will be invited to submit an extended and revised version of their papers to SPECIAL or REGULAR issues in the peer-reviewed journals to be announced later. – The Organizing Committee will mount the posters on the show boards. For the preparation of the POSTERS it should be used the template available HERE. 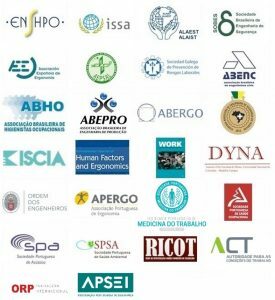 (IJOOES) is an interdisciplinary journal with peer-review promoted by Portuguese Society for Occupational Safety and Hygiene for publication of original research. The authors with the best papers presented at SHO 2018 will be contacted by IJOOES to publish an extended version of their work. Main sessions will be held at the Auditório Nobre of the School of Engineering of the University of Minho. All the parallel sessions will take place in rooms near the main auditorium. How to reach Guimarães/Universidade do Minho? The nearest airport is located in Porto, “Aeroporto Francisco Sá Carneiro”. From the airport to Guimarães, it is possible to catch a direct shuttle (for more information go to this link). Other options include a taxi (50 km), or a cheaper option, which is to take the “Metro do Porto” (www.metrodoporto.pt), from the airport station (in front of the airport building) to the railway station “Estação de Campanhã”. The train to Guimarães (see train schedule) should be taken from the railway station “Estação de Campanhã”.